This study explored the relationships between parenting beliefs, authoritative parenting style, and student achievement. Data were gathered from 49 parents who had school-aged children enrolled in grades K–12 regarding the manner in which they parent and their child’s school performance. Pearson product-moment correlation coefficients and multiple regression modeling were used to analyze the data. Findings suggested that parent involvement, suspension, and homework completion significantly accounted for the variance explained in grade point average. Authoritativeness was positively and significantly related to both rational and irrational parenting beliefs. Irrational parenting beliefs were positively and significantly related to homework completion. School counselors are encouraged to consider the impact of parenting on student success when developing comprehensive programming. The Council for Accreditation of Counseling and Related Educational Programs (CACREP) recently released its 2016 standards. Included in these standards is a requirement for school counseling master’s programs to have a minimum of 60 credit hours by the year 2020. 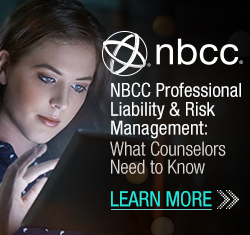 This credit hour requirement is an increase from the previous 48-hour requirement and has caused considerable debate in the counselor education field. In this article, the authors assert that the credit hour increase will lead to positive or neutral effects for school counseling programs and benefit the field of school counseling as a whole. This claim is supported by historical examples, anticipated benefits to school counseling, and findings from a pilot study with school counseling programs that previously transitioned to 60 credit hours (N = 22). 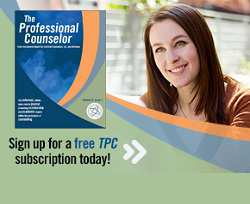 School counselors’ job roles and preferences reportedly vary by educational level (i.e., elementary, middle and high school); however, several organizations, such as the American School Counselor Association, conceptualize and recommend school counseling practice and preparation through a K–12 lens. Little is known about how or if school counseling faculty members vary their preparation for specific educational levels. In this article, we discuss a national, mixed methods study of school counseling faculty (N = 132) experiences and perceptions regarding school counselor preparation for the elementary level. We focused on elementary school counselors due to their unique roles. Findings included faculty’s varied experiences and perceptions of differentiation, prioritizing a K–12 preparation focus, and several external factors driving their preparation such as state licensure and mandates, school counseling job opportunities, and student enrollment, motivation and interest in elementary school counseling. This article provides an overview of a grant project designed to create a district-wide elementary school counseling program with a strong data-based decision-making process. Project goals included building data literacy skills among school counselors and developing the infrastructure to efficiently collect important social-emotional indicators through a revised system for recording disciplinary infractions and a new research-based behavioral component for the district’s standards-based report cards. This enhanced system for accessing and analyzing social-emotional indicators resulted in broad systemic changes in the district, including extending a number of grant initiatives to the middle and high school levels, restructuring data teams to adopt a multi-tiered system of supports, and establishing school counselors as leaders in data-driven discussions about student success. The non-cognitive factors (NCFs) endorsed by Sedlacek (2004) appear to align with the core values of rational emotive behavior therapy (REBT). This article explores theoretical and empirical evidence that suggests REBT fosters the development of NCFs. School counselors can promote non-cognitive development by embedding REBT throughout direct and indirect student services. REBT-based strategies and interventions can aid school counselors in their efforts to close the achievement gap and foster college and career readiness among students, especially those from historically underrepresented populations. Recommendations for school counseling practice are provided. A logic model was developed based on an analysis of the 2012 American School Counselor Association (ASCA) National Model in order to provide direction for program evaluation initiatives. The logic model identified three outcomes (increased student achievement/gap reduction, increased school counseling program resources, and systemic change and school improvement), seven outputs (student change, parent involvement, teacher competence, school policies and processes, competence of the school counselors, improvements in the school counseling program, and administrator support), six major clusters of activities (direct services, indirect services, school counselor personnel evaluation, program management processes, program evaluation processes and program advocacy) and two inputs (foundational elements and program resources). The identification of these logic model components and linkages among these components was used to identify a number of necessary and important evaluation studies of the ASCA National Model. 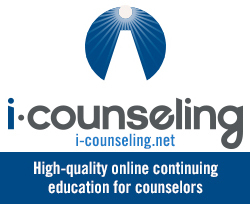 Jeffrey M. Warren, Edwin R. Gerler, Jr.
Consultation is an indirect service frequently offered as part of comprehensive school counseling programs. This study explored the efficacy of a specific model of consultation, rational emotive-social behavior consultation (RE-SBC). Elementary school teachers participated in face-to-face and online consultation groups aimed at influencing irrational and efficacy beliefs. A modified posttest, quasi-experimental design was utilized. Findings suggested face-to-face RE-SB consultation is useful in directly promoting positive mental health among teachers and indirectly fostering student success. Implications and recommendations for school counselors are presented.